I thought I’d write a little guide for photographers that want to dip into the world of underwater photography (I love puns). 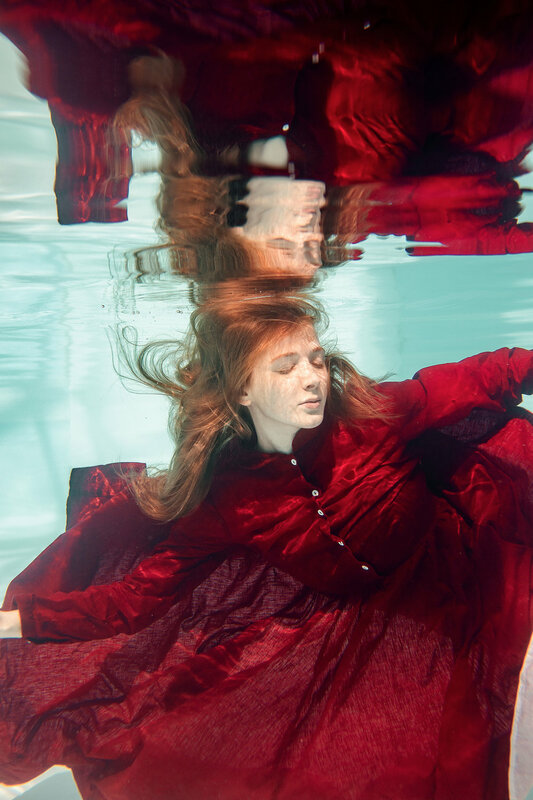 When I started out wanting to do underwater photography, specifically photographing fashion and portrait underwater photography, I could NOT find any information about it. Most information was about diving, sea photography stuff. Also I didn’t want to use underwater strobes and lighting, I didn’t have the money to get underwater strobes and still to this day haven’t ever used them! I’m hoping that photographers who want to try out underwater fashion or portrait photography will find this blog post and find it helpful. Housing. Check out this blog post going through housing step by step. I’d advise starting with an underwater bag personally. Have a clear idea of what images you’re hoping to create. Having a definite idea helps in the planning. Not over packing into one shoot. I think the most I’ve had models change for underwater shoots is 4-5 outfits. Get a model who you’re comfortable with and who is comfortable with being underwater. Ideally a friend more than anything. Get poses down with your model BEFORE the shoot. Keep your model to the side, feet up towards the camera is a big NO NO. Having a mood board is such a good thing to share with your model and have on shoot to refer too. Find a local pool to hire ideally with the best amount of natural light as possible, shoot during the middle of the day, spring or summer is a good time to start! Don’t shoot for longer than an hour or two maximum. You will be tired and so will your model. People underestimate how tiring being underwater is. Don’t forget to get anti-fog inserts for your case. Send your models to my blog post about tips on modelling underwater and tell them to practise in the bath or a sink if they can. Getting them used to relaxing their face underwater is essential. If you want a black background, get a black king size sheet. Cheap, cheerful and works a treat. I made a blog post on my own camera settings ideal for underwater photography you can see here. I hope you found this helpful and feel free to navigate around the underwater section of my blog for further tips, ideas and general know-how. Also don’t forget comment away with questions and always happy to help whenever and however I can.